Sterling is an awesome animal. Everywhere he is taken, people say "what a beautiful animal!" His phenotype is absolutely perfect - his genotype-PROVEN- same high caliper. Sterling produces OUTSTANDING CRIMP and bundling density, unbelievable for a grey! His leg coverage is completely unrivaled for any color class. He gets his wonderful fleece ( 21.7 micron in 2005!) from a combination of the Accoyo sire (Accoyo Inca Danseur out of Accoyo import PPPeruvian Cordero), and the beautiful champion dam, Dona Savia. 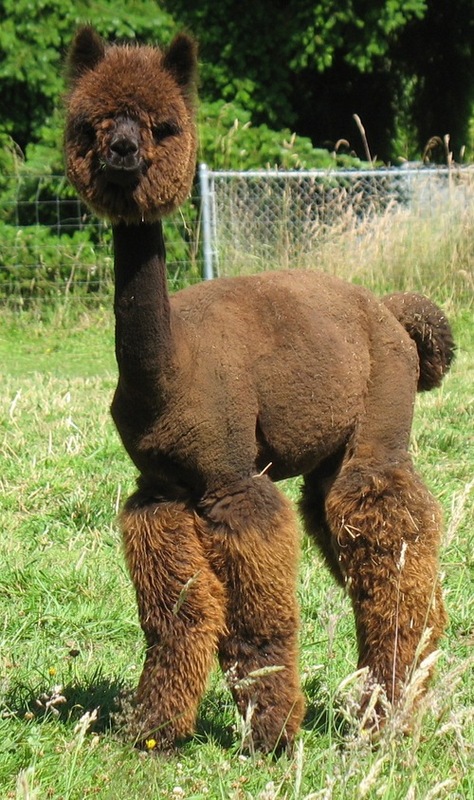 Dona was halter and fleece champion in yearling females, medium silver grey at AOBA Nationals 1998 (shown by Libby Forstner of Magical Farms). 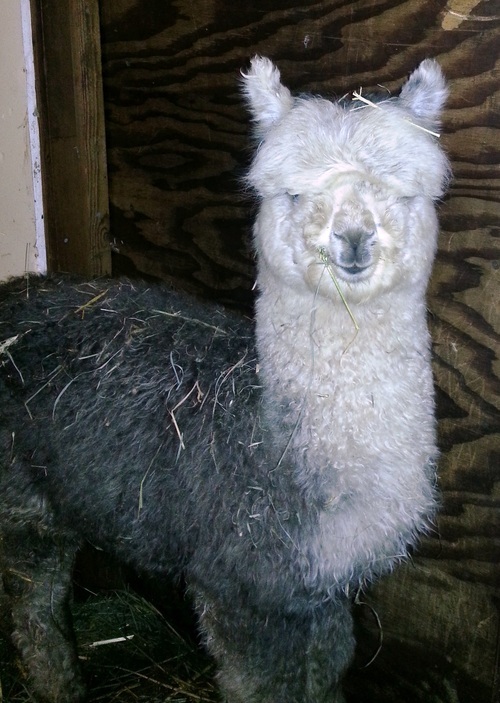 Sterling had an incredible staple length of 6 inches on his yearling fleece. He has a butter soft hand with wonderful density and no guard hair!! You have to put your hands on him to believe it! His crimp is ultra-fine, still showing a lovely character. 2nd MAPACA 2008 - class of 9 - 3yr & older! You may find another grey with a more pronounce crimp, but you will never find a better all-around package in grey than Sterling. His fineness is superior with micron's far below other greys his age, which tells us he retains a soft fleece and this is what we need to breed for (along with the amount of fleece produced - and Sterling produced a 10 lb prime blanket in 2005!). Anyone can get a soft 2 year old, but by the age of 3, most are becoming coarse -- not Sterling -- he is still butter soft at age 5. Silver Symphony is a lovely alpaca with very dainty features. She has a beautiful head with heavy mascara and a thick, curly top-knot. Her colors are the classic tuxedo grey, but her leg coverage has ringlets and curls that will dazzle your eyes. She is top quality and a great mother. Her blanket is solid grey, soft handle but exhibiting the density and structure of her famous Peruvian sire, 5Peruvian Silverado. On her dam's side is the infamous Karrington and Rhapsody in Blue - two top of the line Chilean greys from the Stachowski breeding program. Silver has show presence and has taken the blue several times in her show career. East Coast bloodlines in the Pacific Northwest, Richie has set himself apart as an incredible non-fading true black herdsire. 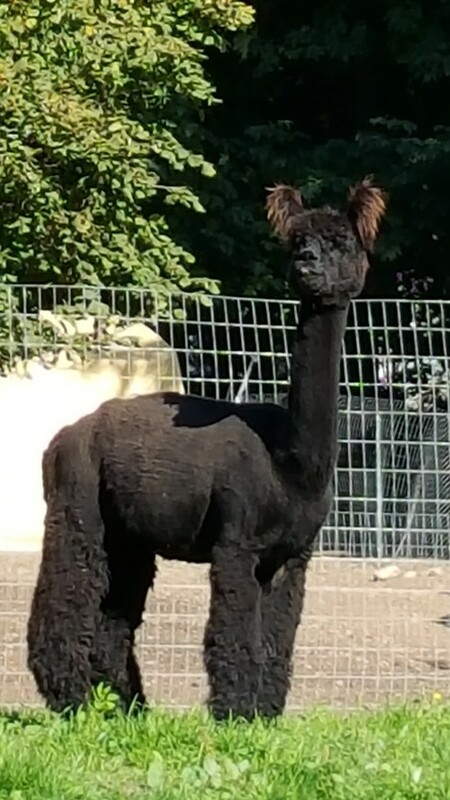 His cria have not disappointed with beautiful structure and fiber that is absolutely stunning, ranging from Silver grey to True Black! 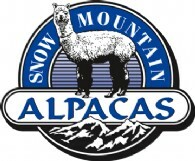 We have repeated several breeding due to the sensational nature of his cria!! Richie has perfect conformation and a great head style and shiny soft non-fading true black fiber showing GREAT definition to his crimp at the skin level. Coverage? from the nose to the toes. Richie is as if a sponge made from rabbit fur...soft, yet thick, and backed up by his histograms. Richie's fiber is also consistent from front to back, as evidenced in two location histograms done in 2011. And if that's not good enough, his fiber has only gotten better!! 2015 Histograms show a reduction in his MFD to 21.4! Look at his 2015 histograms for all the improvements!! He does not have a white fiber anywhere; no signs of anything but pure black lusciousness. 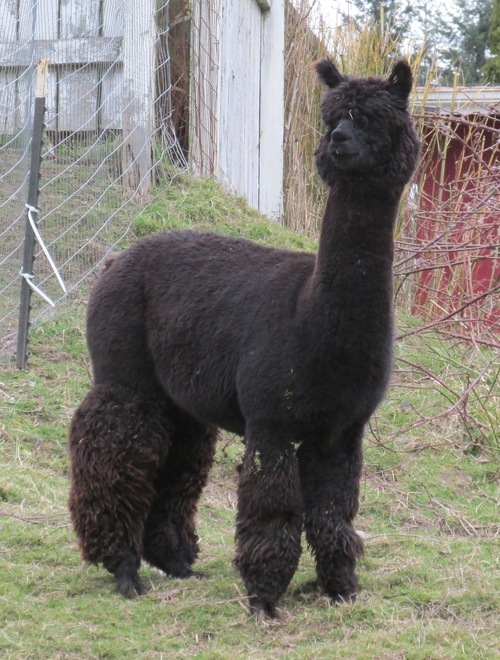 Vintage Richie Rich ("Richie") is a result of the Vintage Alpacas well-refined breeding program, producing show quality offspring. Richie Rich; his name fits his fiber...royal baby softness like never before felt in black! 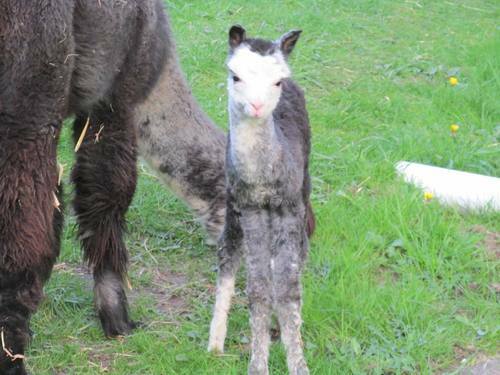 He is the son of Sterling Silver, a gorgeous grey from Vintage Alpacas. Sterling is still winning ribbons at 5 years old! 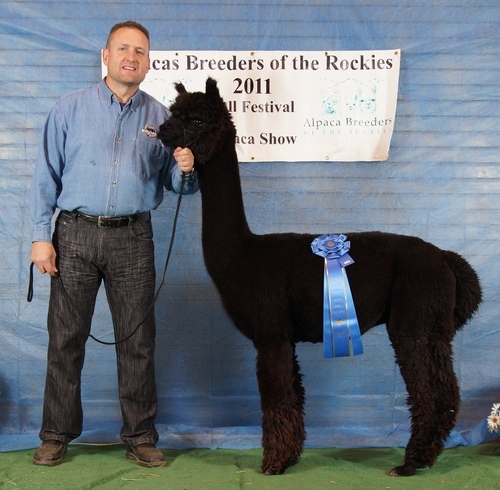 Richie gets his wonderful soft fiber from his sire’s Alianza and Accoyo lineage, coming from PPPeruvian Cordero (Accoyo) and PPPeruvian Prosperity (Alianza). His dam, SA Silver Symphony, a medium silver grey from Vintage Alpacas, is a beautiful daughter of 5Peruvian Silverado (Sollocata import). With the exception of Richie, Silver has only had grey crias. She has a terrific topknot, and spiral curls down the backs of her legs. CALL US TODAY to add your girls to Richie's dance card for incredible 2019 cria!